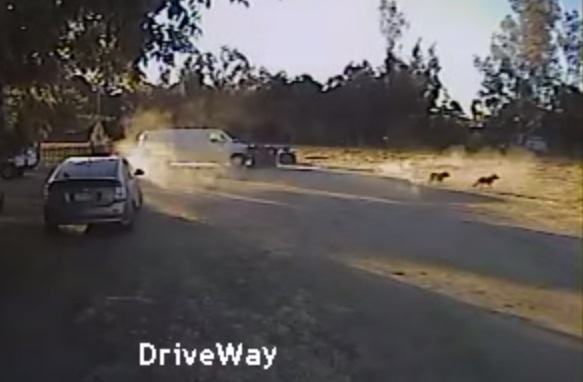 Rottweiler Saves Chihuahua from Coyote Attack ! It could have been a dog's breakfast. But in just 30 seconds, the luck of tiny Chihuahua-wiener dog Trixxie turned thanks to the loyalty of a canine friend, an amazing Rottweiler. Rottweiler Happy can be seen streaking across the screen, from out of nowhere, to rescue the tiny pooch. Through clouds of dust, Happy can be seen charging at the coyote who drops Trixxie.